If you’ve been longing to reduce – or even eliminate – your dependence on glasses and contact lenses, you’ve probably looked into laser-assisted in situ keratomileusis, or LASIK. This revolutionary refractive surgery procedure can correct myopia (nearsightedness), astigmatism (uneven focusing of light) and, to a lesser degree, hyperopia (farsightedness). LASIK adjusts the way your eyes refract, or bend, light by changing the shape of the cornea, which is the front surface of your eye. Dr. Chris Ullrich performs LASIK at a facility in St. Louis that specializes in laser vision correction and other refractive surgeries. 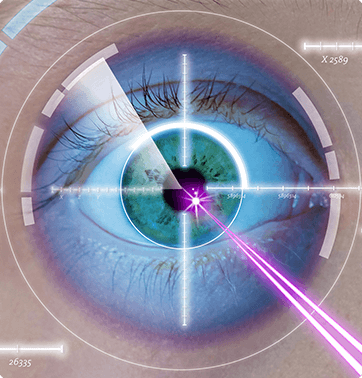 Using a duo of state-of-the-art lasers – the WaveLight® FS200 femtosecond laser and EX500 excimer laser, the fastest refractive lasers available today – Dr. Ullrich performs highly precise LASIK surgery in a matter of minutes. The WaveLight uses PerfectPulse Technology® for the best LASIK results possible. With LASIK, a few anesthetic drops are applied, and an eyelid holder is placed to prevent blinking. A thin flap of the cornea (front surface of your eye) is elevated, exposing the inner layers of the cornea. The laser is programmed precisely according to your eye problem, and it automatically sculpts the cornea to the correct shape. The flap is then sealed back into place and the whole process is complete within just minutes. Approximately 98% of Dr. Ullrich’s LASIK patients achieve 20/20 or better vision without glasses or contacts. 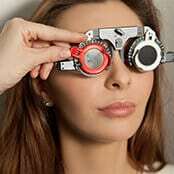 Oftentimes, LASIK can eliminate the need for reading glasses, too. Of course, individual results may vary. The ideal candidate for refractive surgery is over 21 years of age with healthy eyes and without a significant change in their eyeglasses for the last 12 months. People with certain medical conditions or pregnant or nursing women may not be good candidates for refractive surgery. For myopic patients, refractive surgery may be postponed until the refraction has stabilized, as myopia may continue to increase in some patients until their mid- to late 20s. Implantable contact lenses (ICL) may be an effective alternative for those who are not good candidates for LASIK, such as patients with a very high degree of nearsightedness, those with thin corneas, or those who have dry eyes. ICLs are permanent contact lenses that are surgically implanted between your iris and natural lens to improve your vision. They are made of collamer, a unique biomaterial that the eyes do not reject as a foreign body. These tiny lenses are soft and flexible enough to be folded up and injected into the eye, where it unfolds into position in the liquid inside the eye. In most cases, ICLs offer a permanent solution to vision correction, although they can be adjusted or removed if necessary. Dr. Short is our implantable contact lenses specialist and surgeon. So, if you are a candidate for implantable contact lenses, contact Advanced Sight Center to request an appointment with Dr. Short. These lens implants are placed behind the cornea and on top of the iris to give the eye an additional focusing lens to correct nearsightedness. The word ‘phakic’ means that the natural lens is left in the eye, which helps the eye focus on objects that are near and far. 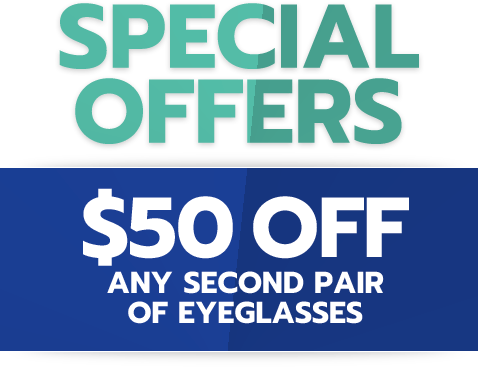 This is only an option for very nearsighted patients who are candidates for LASIK. To learn more about LASIK or ICL surgery and which procedure is best for you, schedule your appointment at Advanced Sight Center today. Call one of our four St. Louis-area offices in Washington, Creve Coeur, and Bridgeton, Missouri or use our online appointment request form.